Posttraumatic stress disorder (PTSD) and the military are commonly linked. PTSD can be considered a "young" diagnosis. It was not until 1980 that the diagnosis of PTSD as we know it today came to be. However, throughout history, people have recognized that exposure to combat situations can have a profound negative impact on the minds and bodies of those involved in these situations. In fact, the diagnosis of PTSD originates from observations of the effect of combat on soldiers. The grouping of symptoms that we now refer to as PTSD has previously been described in the past as "combat fatigue," "shell shock," or "war neurosis." 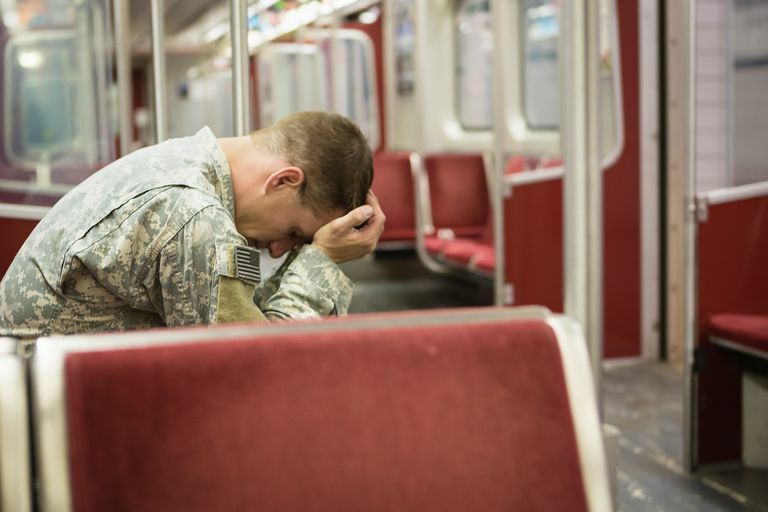 It is not surprising that high rates of PTSD have been found among soldiers from World War II, the Vietnam War, the Persian Gulf War and the war in Iraq. As you can see from the above articles, PTSD stemming from combat exposure is quite common. However, people in the military may also be at risk for experiencing other types of traumatic events. In particular, women in the military may be at high risk of experiencing sexual trauma, often referred to as military sexual trauma (MST). What Increases Risk for PTSD? People serving during wartime are likely to be exposed to numerous traumatic or highly stressful events. However, not everyone eventually goes on to develop PTSD. Some people may be more vulnerable to developing PTSD after coming into contact with a traumatic event, whereas others may be more resilient. Some factors that may protect someone from developing PTSD have been identified. Not only is war difficult for a military soldier, but it is also incredibly difficult for that soldier's family. War can have a tremendous impact on the mental health of a soldier's loved ones. Fortunately, help is available for those suffering from PTSD. A number of treatments have been developed and shown to effectively treat PTSD.